Greetings from Woods Hole! The Delaware II is currently pier side after a successful 8-day leg in the Gulf of Maine servicing NERACOOS buoys. The ship docked Tuesday morning after transiting from Massachusetts Bay to recover and deploy the last buoy of the cruise, Buoy “A”. 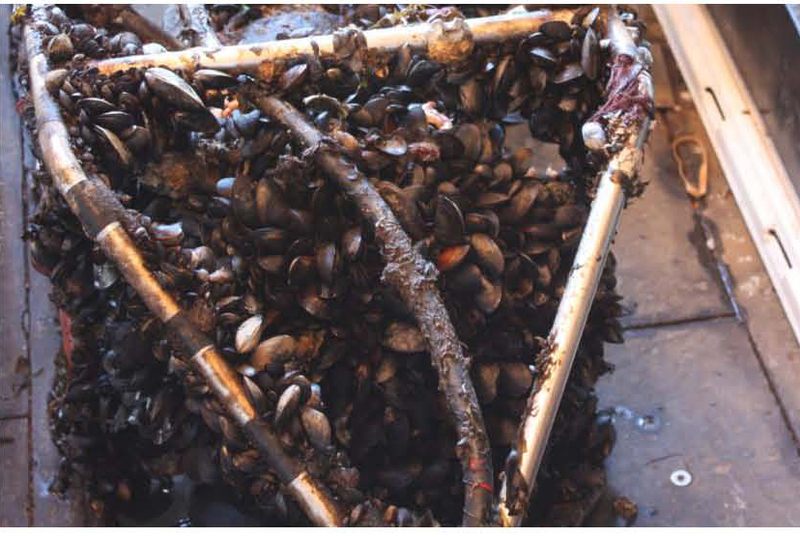 A quick port call to Portland, Maine was made Sunday afternoon, April 15, to offload and reload NERACOOS buoys and equipment onto a flatbed truck. Our weather was almost perfect for recovery and deployment operations for the entire cruise—only one recovery during the evening hours had to be delayed till the next morning due to 20 knot (kt) gusts in West Penobscot Bay. Our junior officers really enjoyed this cruise because it gave them the chance to grow in their ship handling skills. Greetings from the NOAA Ship Delaware II! We are currently in Canadian Waters, 65nm from Seal Island, Nova Scotia, and steaming towards our second buoy on the NERACOOS (Northeastern Regional Association of Coastal and Ocean Observing Systems) Servicing Buoy Cruise. 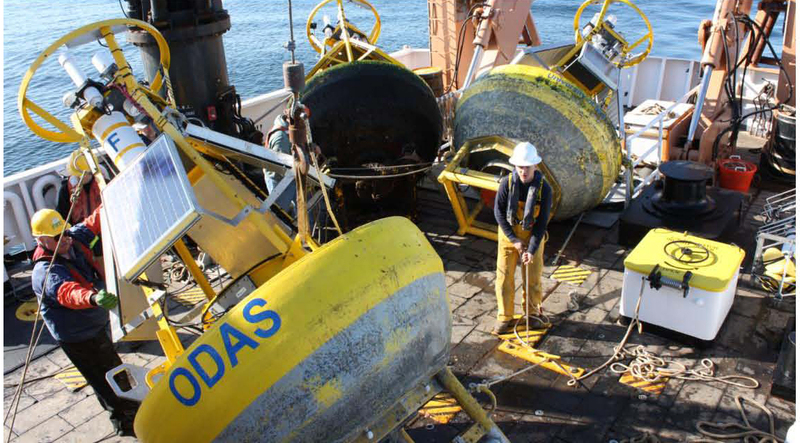 Over this eight day-leg cruise, the crew plans to first repair 2 NERACOOS buoys, drag for lost mooring equipment in Jordan Basin, and then recover and deploy 5 buoys along the coast of Maine, New Hampshire, and Massachusetts. 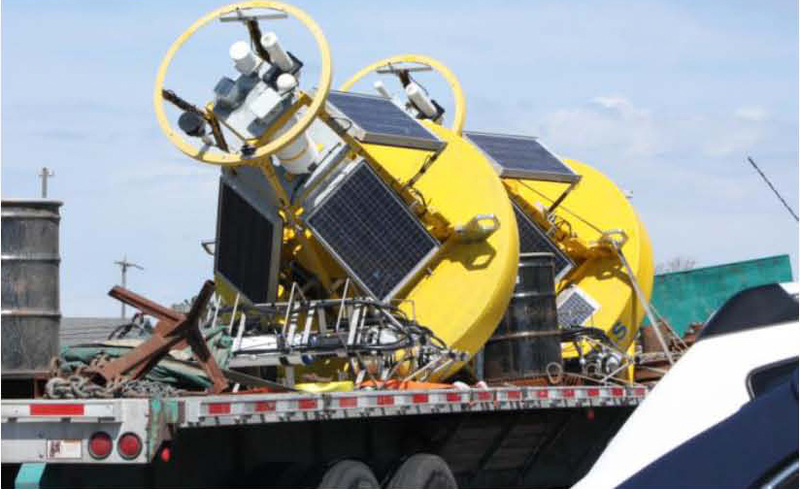 A brief port call to Portland, ME, this Saturday (April 14) will be made to load 2 buoys that need to be deployed and remove 3 buoys that were recovered. 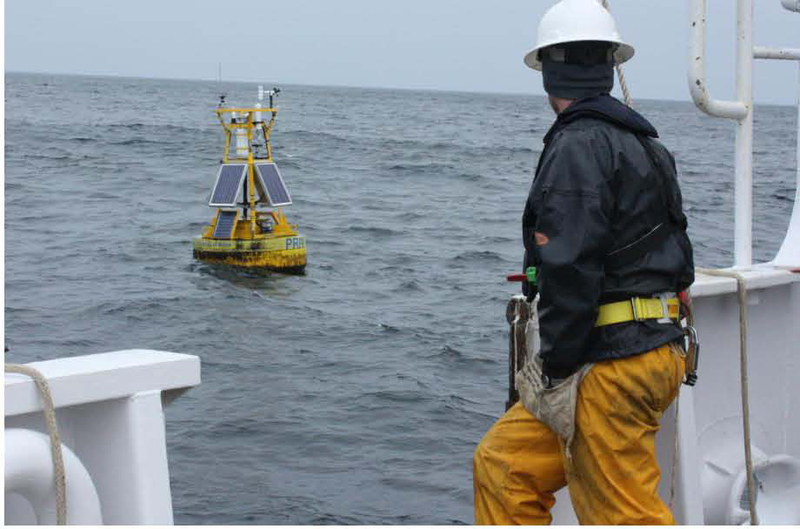 Late yesterday afternoon, April 11, the ship arrived at Buoy “N” (located in the Northeast Channel in the Gulf of Maine; 110nm east of Cape Cod). The whole operations process took roughly 6 ½ hours—from arrival at the buoy to deploying the buoy in a requested position with a new anchor attached. Weather conditions have been favorable for operations so far, and the ship is scheduled to dock in her homeport of Woods Hole, MA on the morning of April 17.